Trestle tables feature folding trestle legs with either a square, rectangular or round table top, with the most recognised being the rectangular trestle table. The space saving nature of trestle tables makes them a very popular option as a temporary (or permanent) table in both the home for extra dining space, work table or potting shed and in commercial premises for weddings, events, schools, village halls, exhibition venues with a large selection of sizes and material. Quick to put up and Easy to store! Trestle Tables should be purchased based upon on the tables typical intended use, however being ever versatile a trestle table can go from a buffet table to a top table (with table cloths) and a conference table in the space of a day. In this guide we break down trestle table by size and material. Table sizes with seating numbers and table cloth sizes. 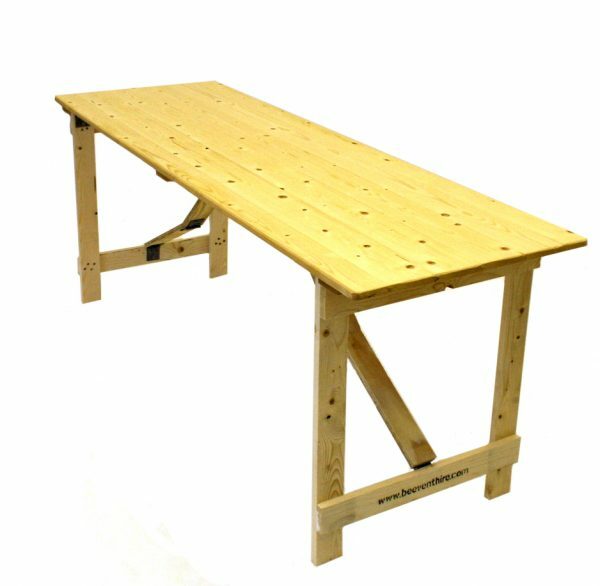 BE Furniture Sales offers a range of plain wood trestle tables which are typically used for large scale exhibition venues, school and local halls, craft and antique fairs to home and garden use. 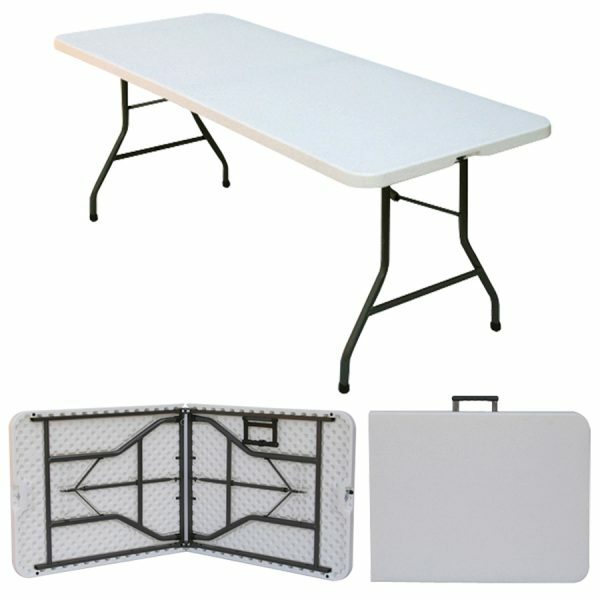 Trestle tables range in size from 4′ x 2′ up to 6′ x 2’6″. We also offer bulk buy discounts on some of our wooden trestle tables. Varnished wood tables with folding metal legs. The varnished wood top makes these table to wipe clean and folding legs allow for easy storage. Our varnished wood tables are ideal for restaurant, hotels, conference and exhibition venues, schools and universities. 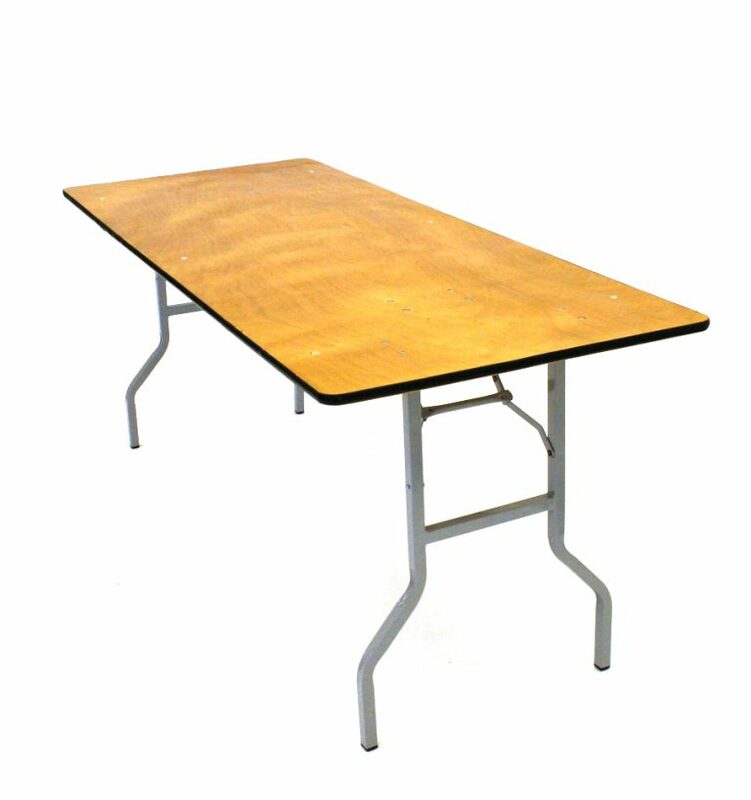 Plastic trestle tables are perfect for catering tables with them being easy to clean and sturdy, or an extra pull out table when you have extra guests, a sewing table, a garden potting table, a table to take to craft and antique fairs as well as car boot and camping . Various sizes and shapes with some folding with carrying handles for ease of use. 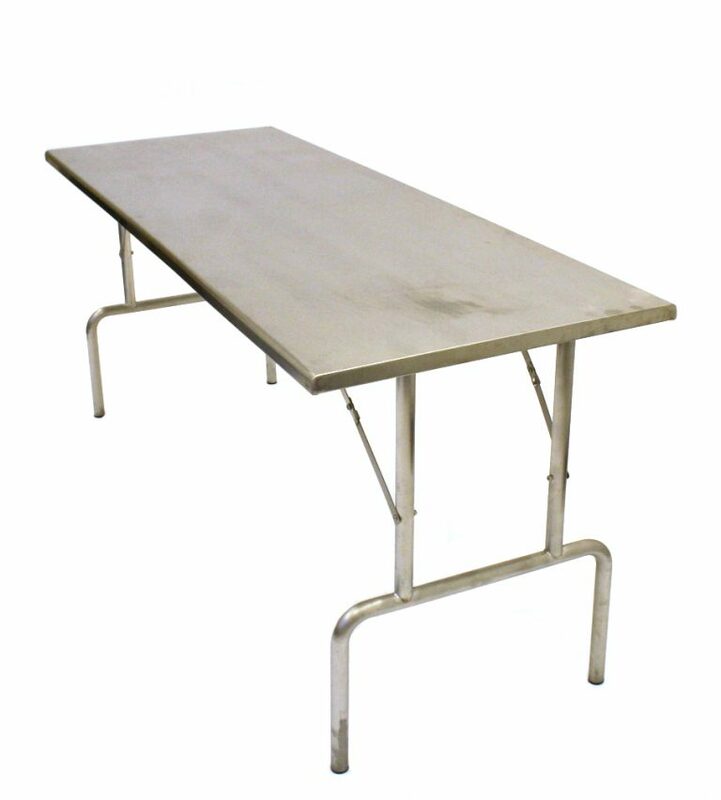 Various catering trestle tables both stainless steel and plastic. Easy to clean and wipe down after service or function. Fold flat trestle legs allow for easy storage when not in use. BE Furniture Sales tables are lightweight but sturdy, making them very versatile to suit any application. They’re very easy and quick to erect, meaning your event can be set up in no time at all by staff. If you cant locate the tables you are looking for, please contact our sales team.